New Delhi: The Congress on Tuesday asked home minister Rajnath Singh to explain the contours of a "permanent solution" to solve Kashmir issue that he talked about and accused the PDP-BJP alliance of driving Jammu and Kashmir to the edge. The Congress also asked the BJP-led NDA government to open its eyes and realise the extreme damage that the "ideologically incompatible alliance" as well as their continued dithering is doing to the national security of India. "The home minister of India Rajnath Singh has been making rather curious statements to say the least. 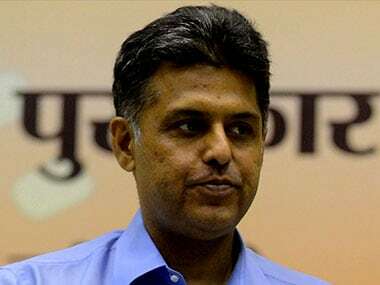 Would the home minister of India care to explain to the people of this country what are the contours and calculations of the phraseology 'permanent solution'," Congress spokesperson Manish Tewari said. He said anybody who has a nodding acquaintance with history understands that the phrases 'permanent solution' and 'final solution' have had some extremely disturbing implications and history has been witness to the consequences of such an action. Tewari said historically it has "very disturbing connotations" and if the home minister has chosen to use such a phraseology, he needs to elaborate what it means and what its contours and calculations are. "What does the government really mean by a 'permanent solution'?" he asked. The Congress leader said the home minister has a very serious job in India and when he makes a statement "you do not take it lightly, you do believe that there must have been some sort of serious thinking which must have gone into this formulation because the formulation ultimately only articulates or disseminates what is the underlying strategy". The Congress leader said Kashmir is in an extremely sensitive situation which has been consistently deteriorating since this government came to power and requires careful handling. "The manner in which the government is going about, it all appears very cavalier," he said. 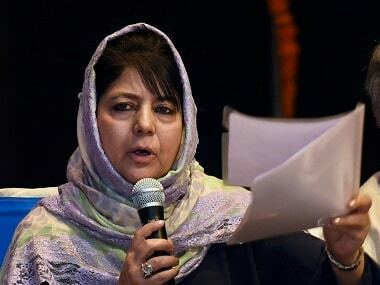 Taking on the PDP-BJP government in Kashmir, he said the home minister needs to clarify what he means as a formulation only articulates both intent and the underlying strategy of the government. Tewari said Singh's statement comes at a time when the PDP-BJP alliance has been "playing Tweedledum and Tweedledee" on an extremely sensitive issue of security in Kashmir. 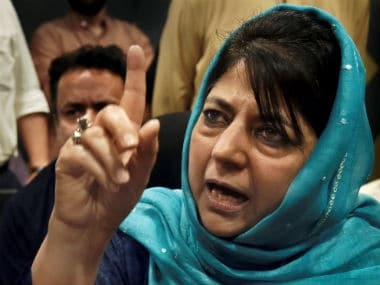 He said while on one hand Chief Minister of Jammu and Kashmir Mehbooba Mufti has been passionately advocating that the central government needs to engage with both the Hurriyat and with Pakistan and that this is part of the 'agenda of alliance', on the other hand, "the BJP is hellbent upon playing the very jingoistic card". 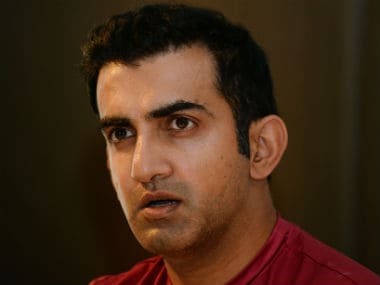 "This ideologically incompatible alliance between the PDP on one hand and the BJP, on the other hand, has driven Jammu and Kashmir absolutely to an edge," he said. "We would like to ask both these parties that if there is so much of ideological dissonance, if there is no agreement on the agenda of the alliance, if the agenda of the alliance is not worth the paper it is written on, then why are they continuing in the government together?" he said. He asked the BJP why it was not pulling out of the alliance and conversely why the PDP continues to be in government when the central government does not pay heed and is not interested in listening to what the chief minister says? Tewari alleged that this government in 2016 came out with "Insaaniyat, Kashmiriyat and Jamhooriyat" and in 2017 it is "permanent solution", but it is high time the government wakes up to the security situation in Jammu and Kashmir which continues to deteriorate very rapidly. 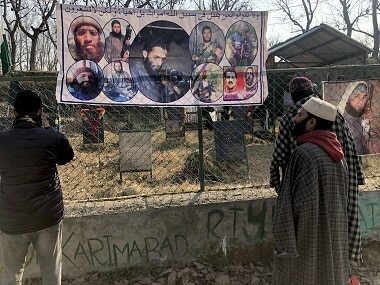 Asked if the government was trying to derive political mileage out of the Kashmir situation, he said, "We fail to understand that something which undermines the nation, something which damages national security, something which pushes Kashmir to the edge, how could it be politically beneficial to anybody?" He said the objective of governance is to govern and that is the remit which has been given by the people of India and if one is coming up short on that fundamental tenet of governance and things seem to be chaotic and out of control, Kashmir being just one manifestation, then "I fail to understand how they think they can derive political benefit". He said, "You can fool some of the people sometimes but you cannot fool all the people all the time and if you think that is a strategy, I am afraid you are deluding yourself".